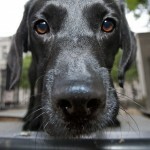 If you have a dog or if you’re interested in dog health, you may have heard of hot spots on dogs. 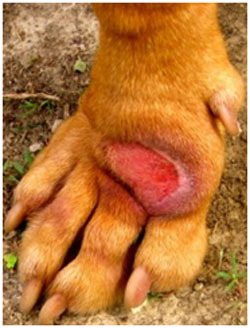 Hot spots are also referred to as acute moist dermatitis and are basically hot, moist, red spots usually found on the paws, hips, chest, or head of a dog. If left untreated, hot spots can quickly become worse because dogs tend to lick, scratch and chew the affected areas incessantly, continuing to irritate the skin. Hot spots on dogs are common, and they should be treated as soon as possible since they can become very painful for your dog if left untreated. Anything that irritates your dog’s skin and makes him lick the irritated area can result in a hot spot. 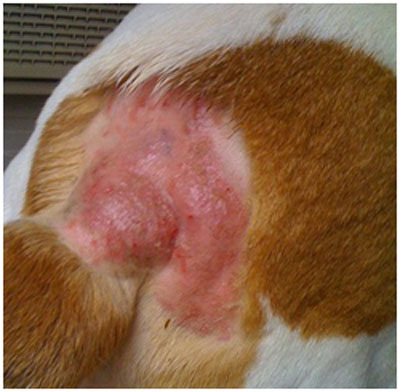 Basically, hot spots develop when the natural bacteria of your dog’s skin overpopulates in a particular area. While the infection is caused due to a dog’s own bacteria, there’s always another triggering root cause. 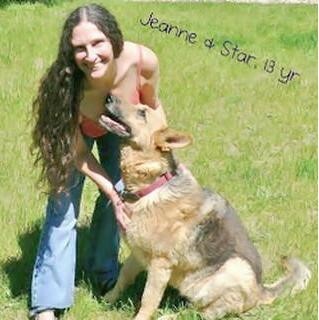 One contributing factor is if your dog doesn’t have a healthy immune system overall. 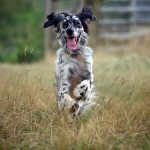 One of the most alarming factors with hot spots on dogs is how rapidly they can progress. 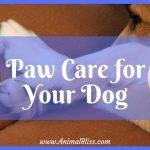 For instance, you may leave your pup completely healthy one morning, and when you return home in the evening, you may find a particular area of his skin inflamed, irritated, or oozing. Remember that these spots are quite painful and your dog will tend to avoid letting you examine or touch these spots. 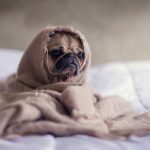 Although hot spots can occur in all breeds of dogs, they are more frequent in dogs whose skin is allowed to remain moist or dirty, as well as those with thicker coats. Dogs which develop any kind of canine allergies like fleas also tend to get hot spots. Even if you are good about keeping your dog as clean as possible, he may still develop hot spots. For instance, if your dog suddenly jumps into a pond filled with dirty water on a hot, humid summer day and then sits or lays on grass to take a nap, he’s vulnerable to bacteria overgrowth. In a situation like this, allergic reactions or multiple hotspots may occur all over your dog’s skin. There are certain irritants that lead to hot spots. Bites from various insects, fleas, mites, as well as any sort of allergic reaction can trigger them. Hot spots on dogs can also crop up if your dog’s been suffering from an underlying skin or ear infection, or is not properly groomed and has matted or dirty hair. Once a hot spot develops, it can expand or worsen as your dog keeps on chewing or licking the wound. Disinfect the wound – Disinfecting the affected area is important and it’s advisable to use solutions that contain povidone-iodine. Since it’s an organic iodine, it doesn’t have any side effects and is quite effective in terms of controlling bacteria. To begin with, you’ll need to dilute the solution by adding purified water to it. You can keep adding water to the solution until it appears about the color of iced tea. After that, you can apply it to the wound with some medical gauze or a soft washcloth. Remove hair on the affected area – Before applying the solution to the wound, you must remove the hair not only from the affected area, but from the surrounding skin. 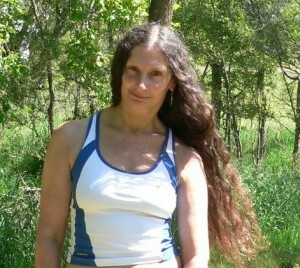 Not removing the hair may cause the wound to grow further, and the infection may get even worse. Since prevention is better than a cure, you can do certain things to prevent hot spots. 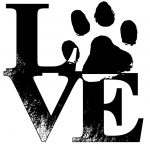 Make sure your pet is properly groomed and encouraged to maintain good hygiene. 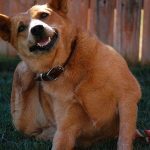 Consider instituting a flea control program for your dog and his environment after consulting with your vet, and try to maintain stress-free conditions for your canine friend. Since hot spots are more common in hot, humid climates, you can consider clipping your pet’s hair short during the summer. You should ensure that your dog gets enough exercise and opportunities to interact with your family members, so that he or she is not bored or stressed out. At times, it can be a difficult to pinpoint the exact cause of your pet’s hot spots. This is when your vet should diagnose the cause, because just treating the wound without addressing the source of the problem can increase the chances of a recurring hot spot problem. 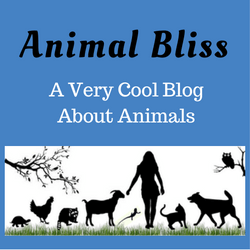 What other topics would you like to see here on ANIMAL BLISS?